Tired of dragging hoses? Watching plants and sod die? Jealous of your neighbor's lush, green yard? Landscaping is an expensive part of home ownership - don't waste your investment by allowing your plants or sod to wither away due to inadequate watering. 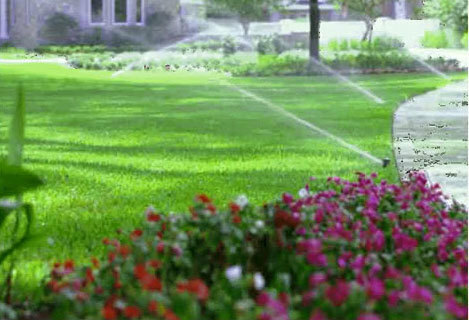 Whether you have a newly constructed house with no landscaping, or lots of shrubs currently in place, Heinz Nurseries can install an irrigation system to suit your needs. We use Hunter Professional Grade control clocks and spray heads and guarantee our workmanship. Outdoor lighting is the finishing touch to your landscape. Don't let the investment you have made in beautifying the exterior of your home end when the sun goes down. You may highlight tree canopies or brighten a patio, or maybe you have a shadowy garden corner you need to illuminate for security reasons. 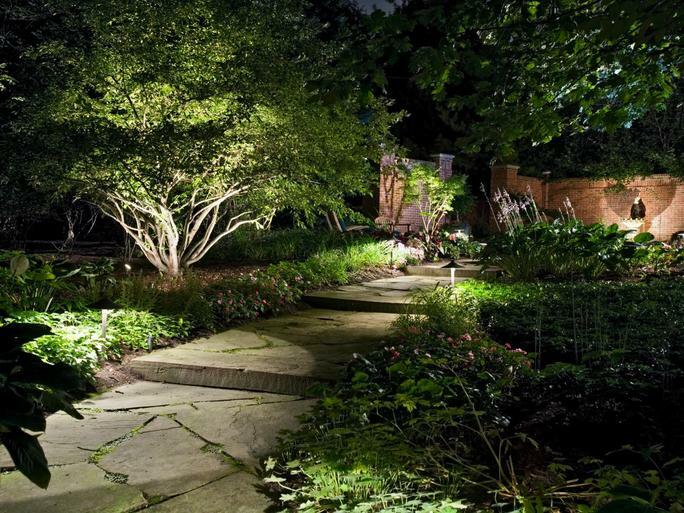 A path leading through the garden may require landscape lighting to mark its boundaries. You can replicate moonlight, or achieve a subtle glow that washes over a low garden wall. Some unusual features of your backyard like a water fountain or pond should be highlighted. It is well understood that outdoor lighting can make a home more safe and useful. Adding security lights will add a level of comfort so you can sleep better at night knowing you're well protected. Most landscape lighting today is low voltage, and with good reason. Unlike 120-volt systems, it's safer to work with and less costly to install. Your new lights will be cost-effective and bring new life to your outdoor areas. For a professional look at your specific irrigation and lighting needs, call Heinz Nurseries at 850-668-0961 and we'll schedule a convenient time to visit your location.